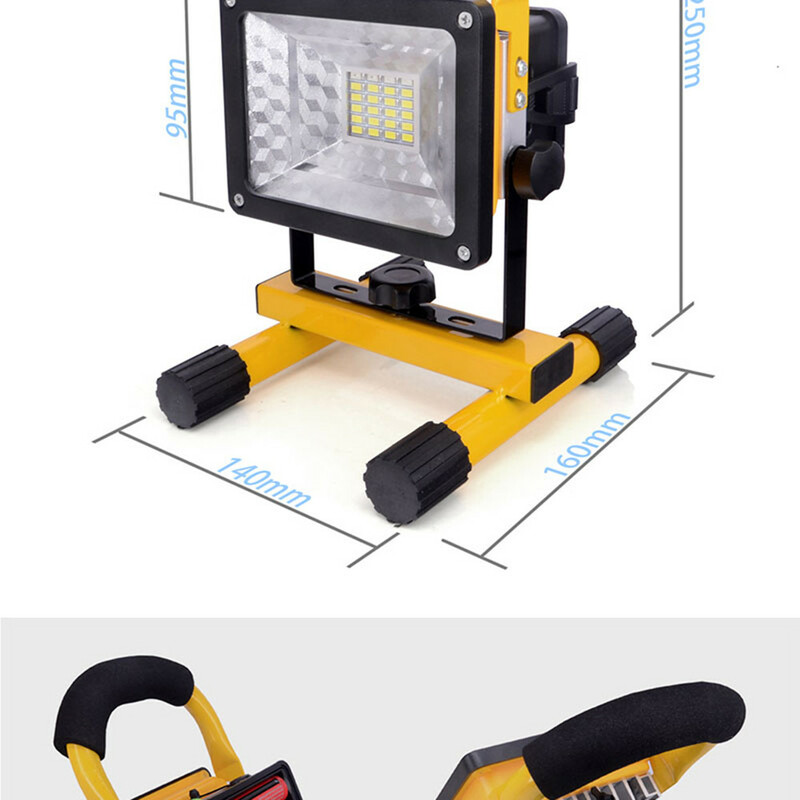 Light weight and portable with cordless. 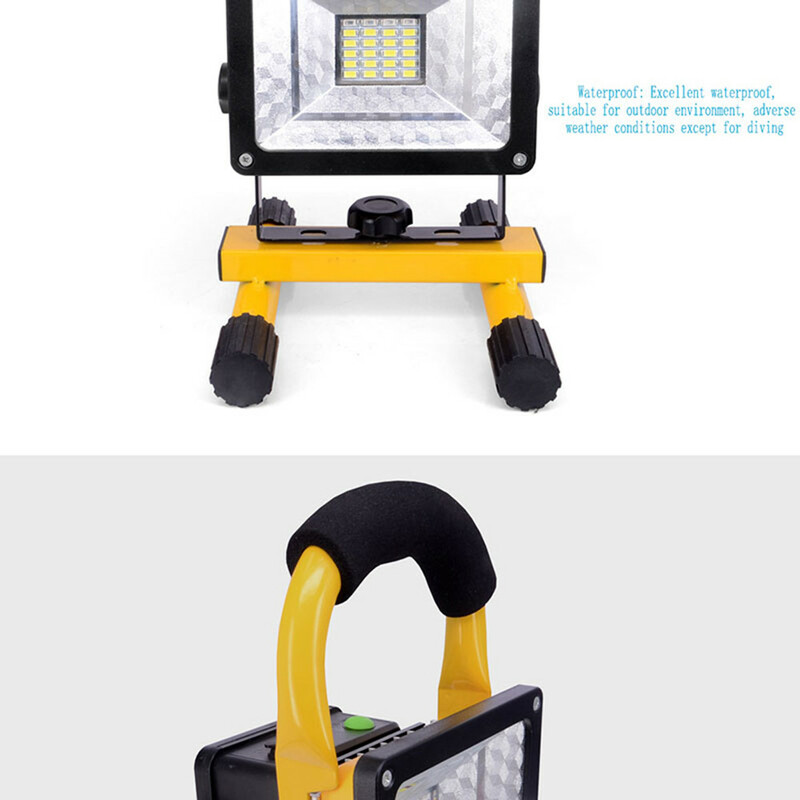 With 4000mA lithium battery, it works anywhere. 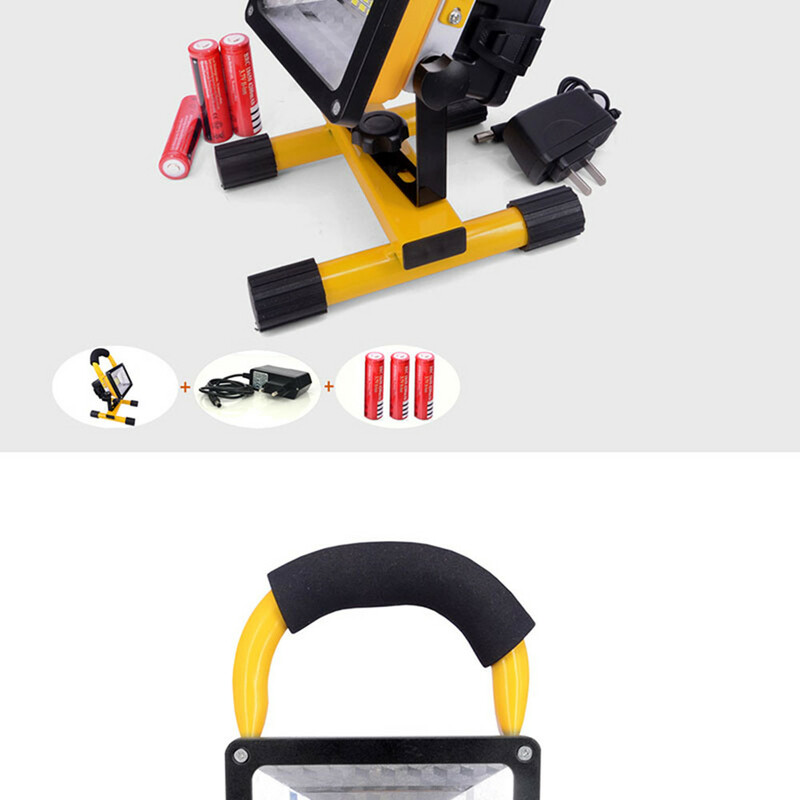 Rechargeable battery can be charged by standard power source. 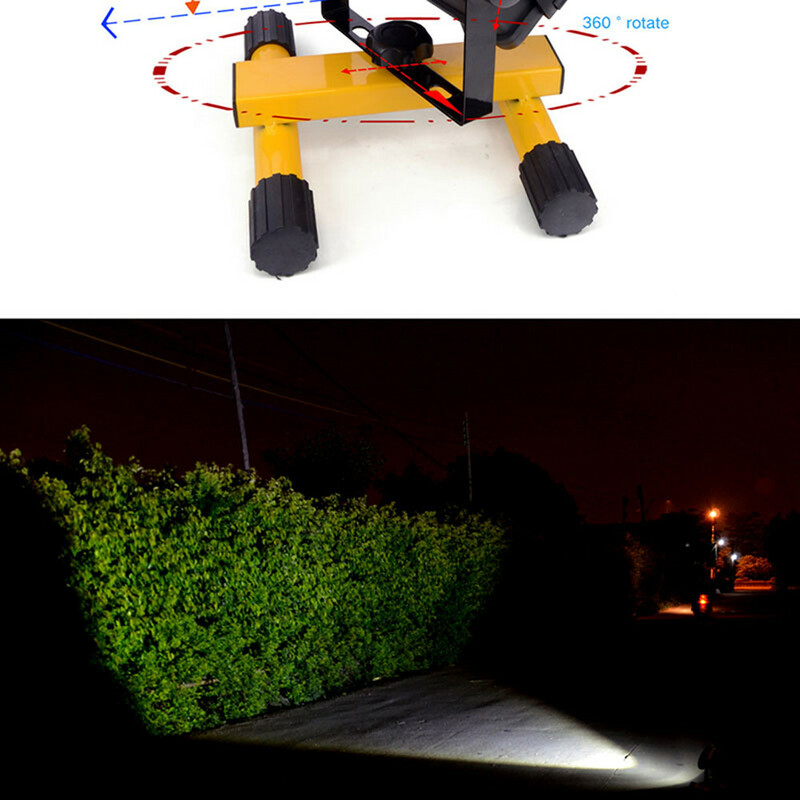 The light beam direction can be adjusted by its pivoting design. 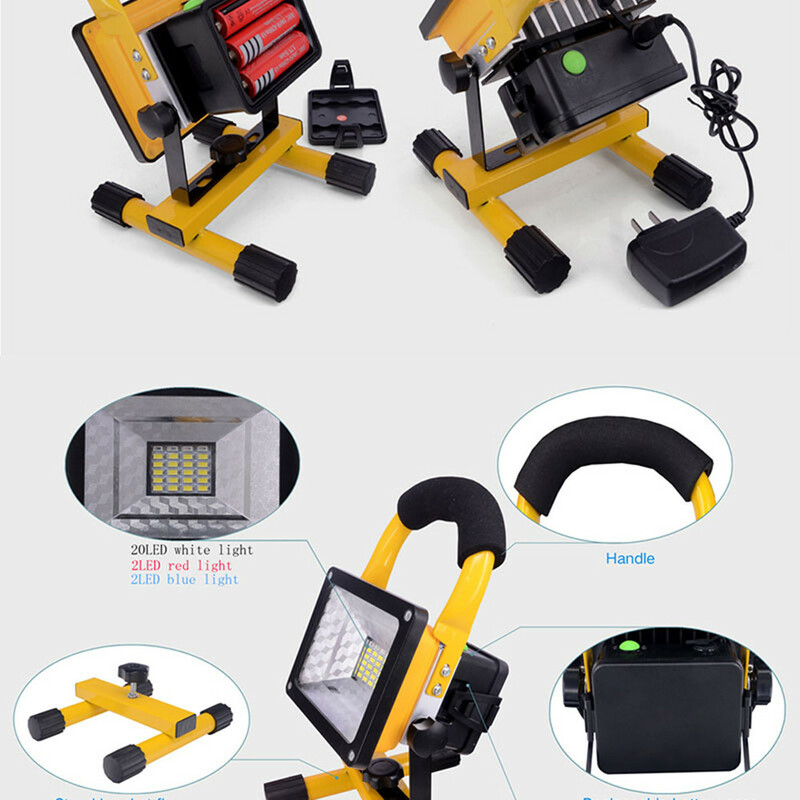 Metal rack, lightweight, cordless, waterresistant IP65, portable and rechargeable, firm frame. 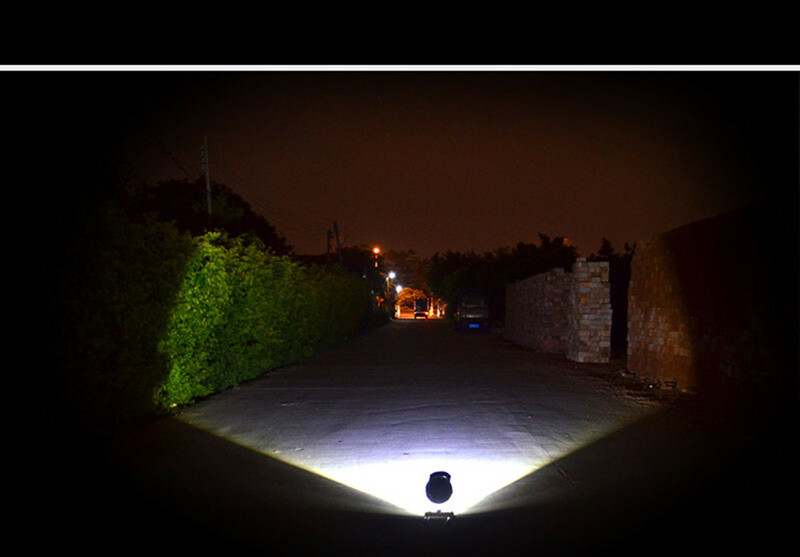 High brightness, low consumption, ease to use. 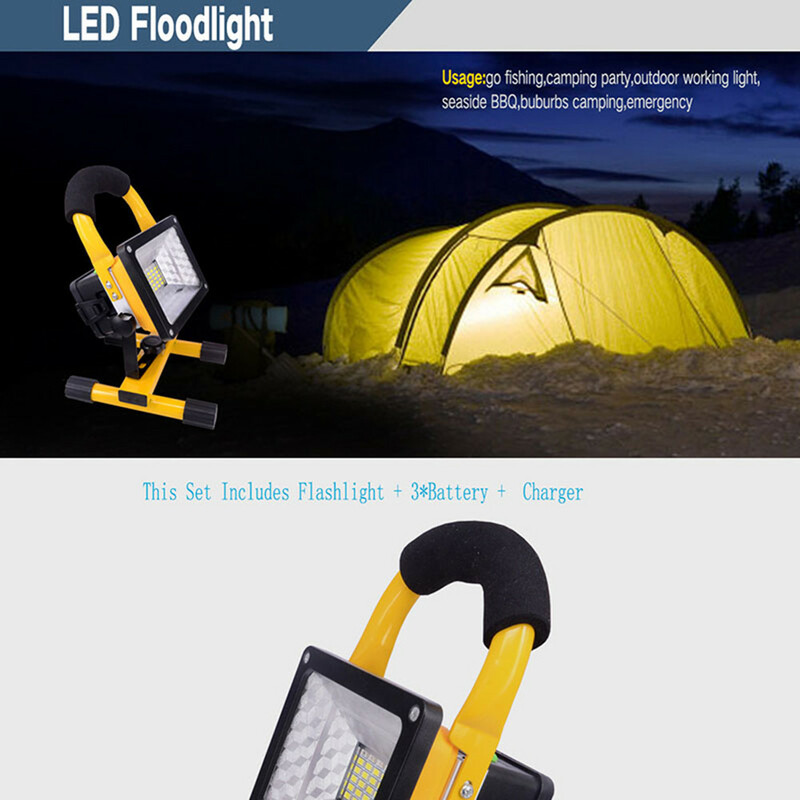 Usage:go fishing,camping party,outdoor working light, seaside BBQ,suburbs camping,emergency,maintenance, garden work. Please do not turn on the light when charging. Please do not charge the lamp over 24 hours. Please do not disassemble the lamp. Please recharge the lamp every six months when in stock. 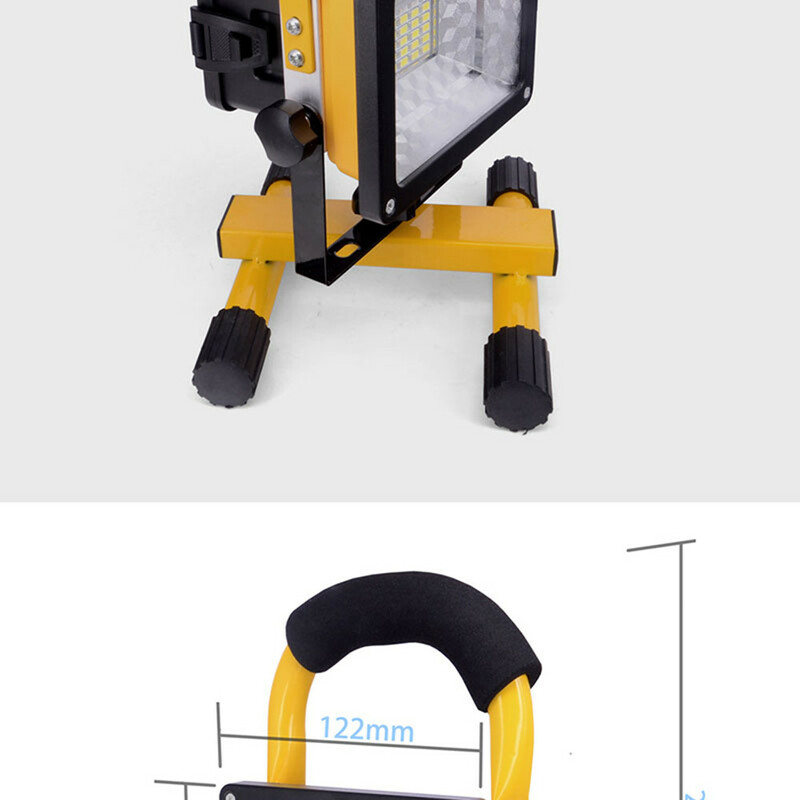 1x Charger (110V-240V,free adaptor fit for your country). 1)We accept Alipay, All major credit cards are accepted through secure payment processor ESCROW. 3)If you can\'t checkout immediately after auction close,please wait for a few minutes and retry Payments must be completed within 3 days. 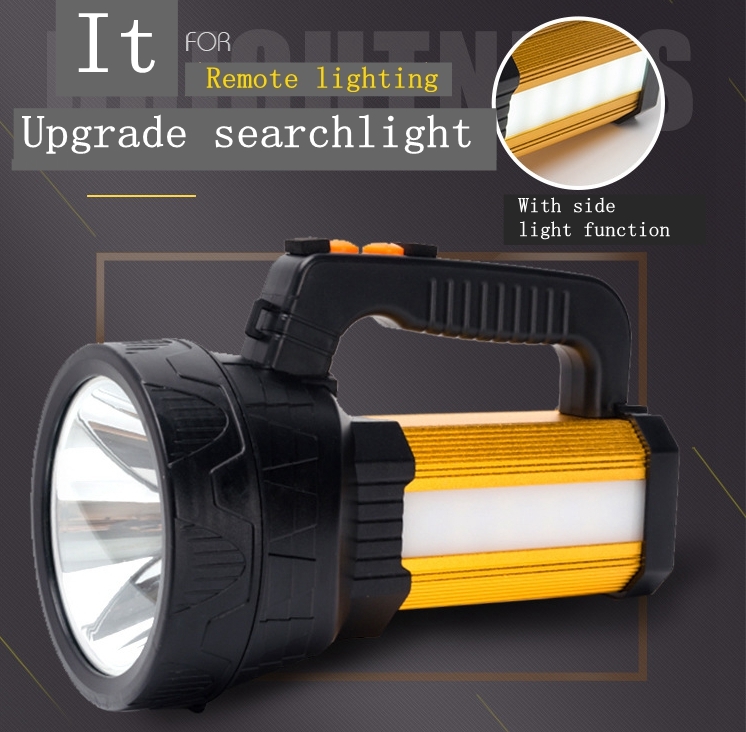 3.Please make sure your name and address are right at aliexpress,wrong address or name case ruturn or not receive will be buyer\'s responsibility. 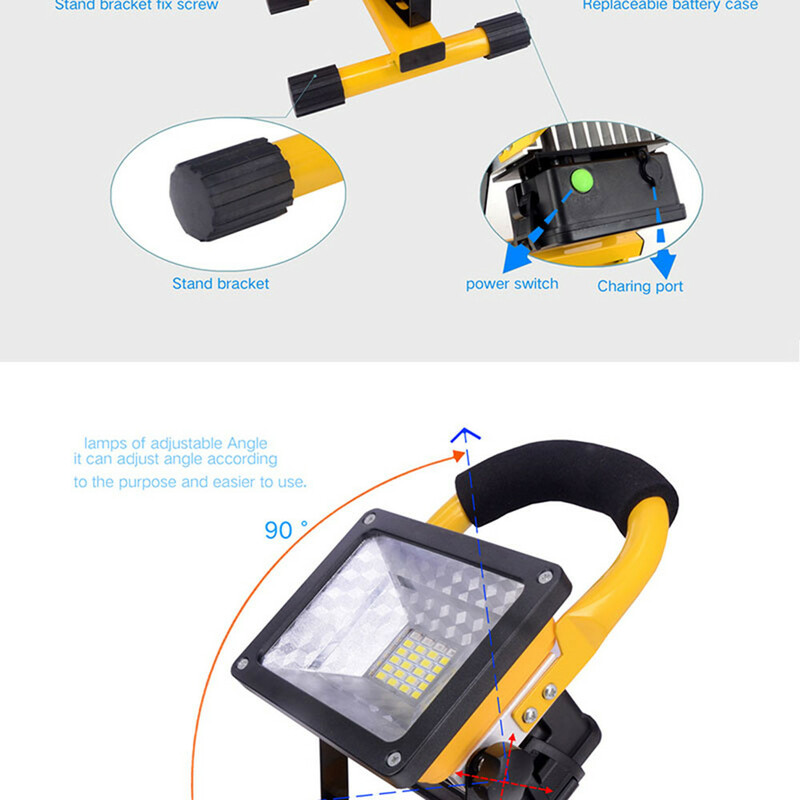 2.Defective items MUST BE reported and returned within the warranty period (and in the original packaging, if possible).You must tell us what the defect is and give us your order number.WE DO NOT REPAIR OR REPLACE ITEMS WITH AN EXPIRED WARRANTY.You agree to all of the above-listed policies upon ordering on aliexpress!